Having a fun EASTER Birthday Party or EGG HUNT?! Then you have found your invitation!! 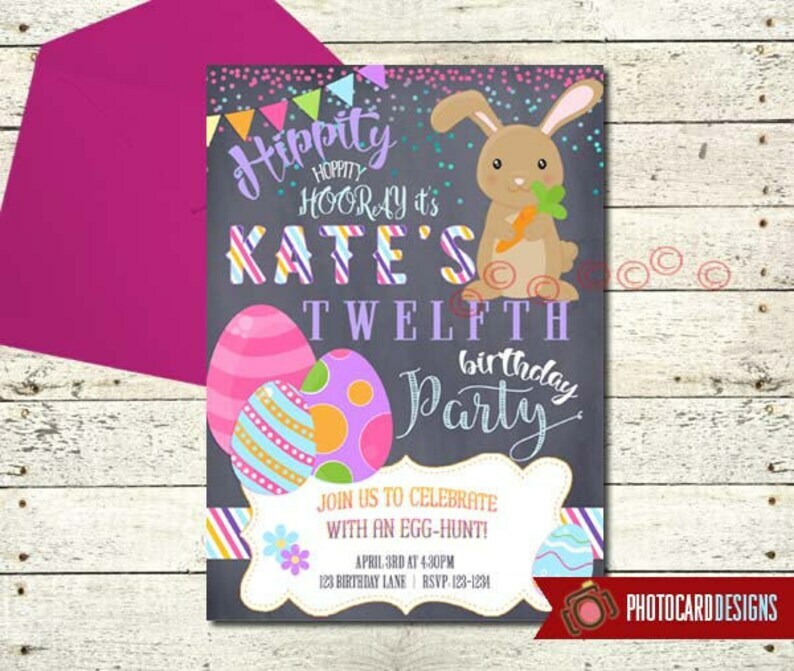 This EASTER Birthday Invitation Digital DIY Print file can be in 4x6 or 5x7 size. You will be provided with a high-resolution jpg to print at home or at your local print shop. This listing is for the Invitation Digital file ONLY. Just as I had hoped! Thank you-excellent work all around.